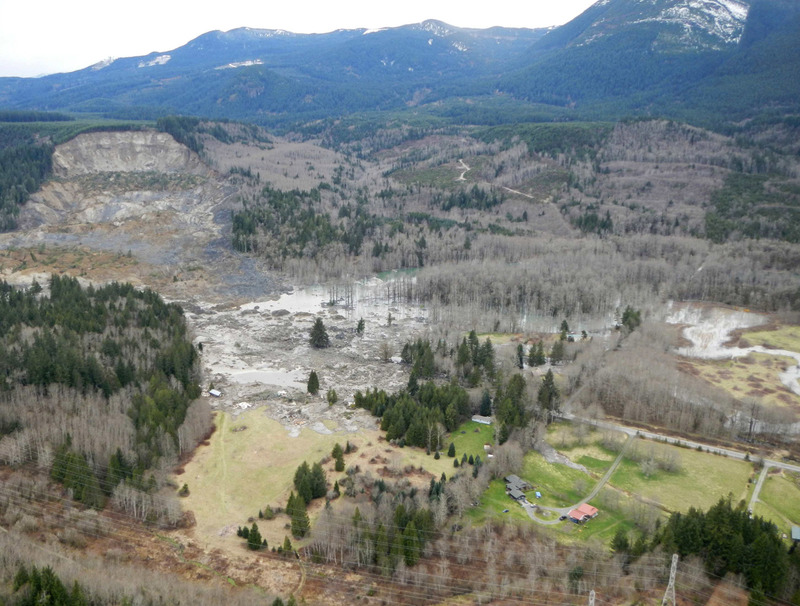 ARLINGTON, Wash - Washington state officials said the confirmed death toll from a huge mudslide in the US Pacific Northwest was likely to rise sharply from 25 on Friday as residents accused local authorities of a slow early response to the disaster that had cost lives. 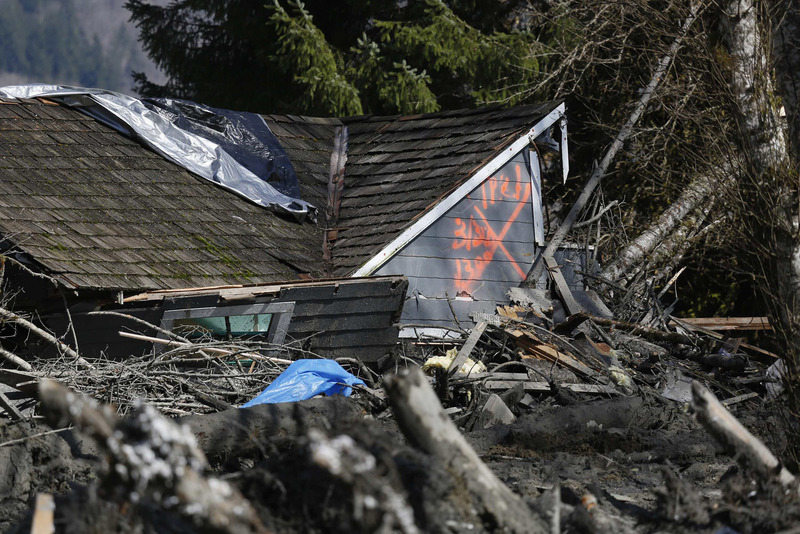 A rain-soaked hillside collapsed without warning on Saturday, unleashing a deluge of mud on dozens of homes in a river valley near the rural town of Oso, in Snohomish County, some 55 miles (89 km) northeast of Seattle. 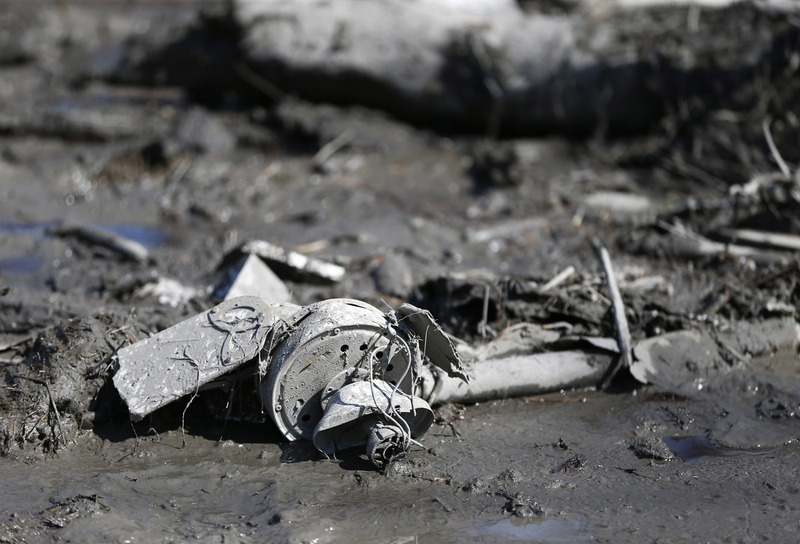 Authorities fear that some of the 90 still missing might never be found in the square-mile heap of mud-caked debris and muck. Officials were expected to revise casualty tolls during a press conference at 9 a.m. local time (1600 GMT) on Friday. 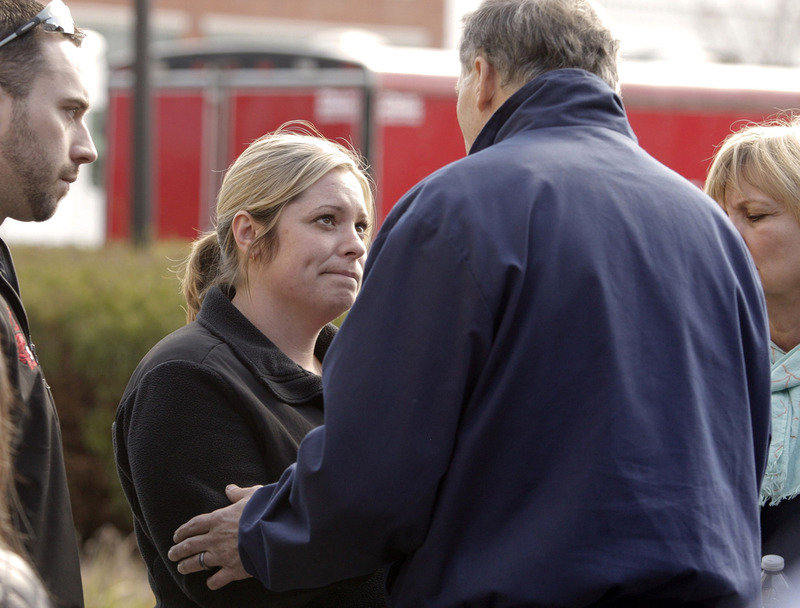 "In the next 24 to 48 hours, as the medical examiner's office catches up with the difficult work that they have to do, you're going to see these numbers increase substantially," fire district chief Travis Hots said on Thursday. 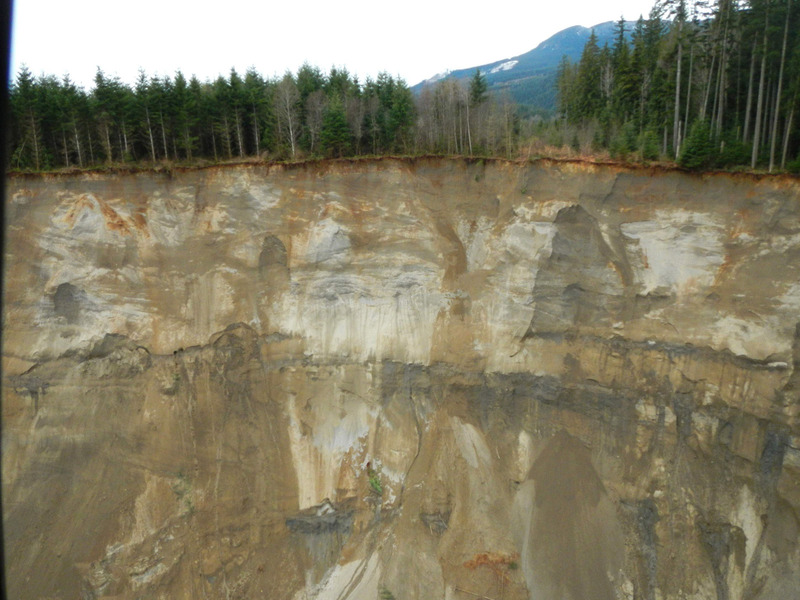 An estimated 180 people lived in the path of the landslide. 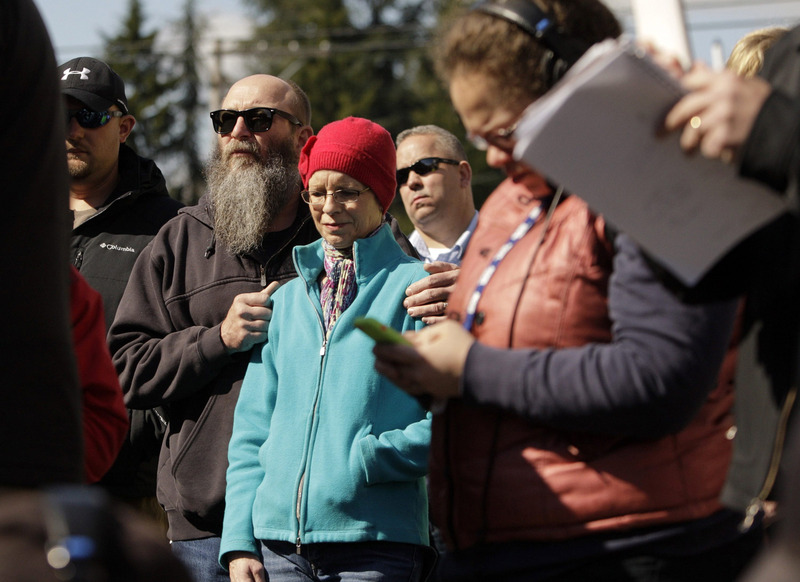 "This is going to get harder and harder," said Dan Rankin, mayor of nearby Darrington, as he choked back tears at a town hall meeting attended by hundreds on Thursday evening. "We need each other more and more." 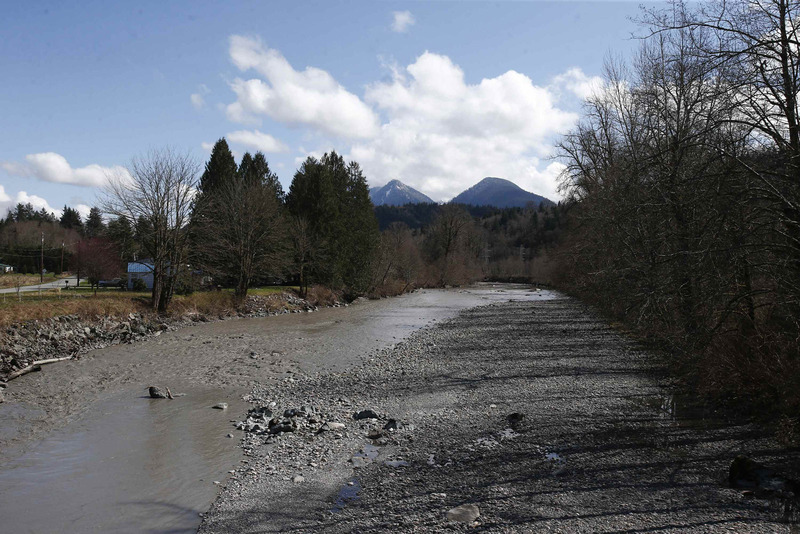 Shawn Scott, 51, a former US soldier living in Darrington, said he went in as an authorised volunteer on Monday and Tuesday, but by Wednesday, as it became increasingly clear that no one else would be found alive, he stayed home. 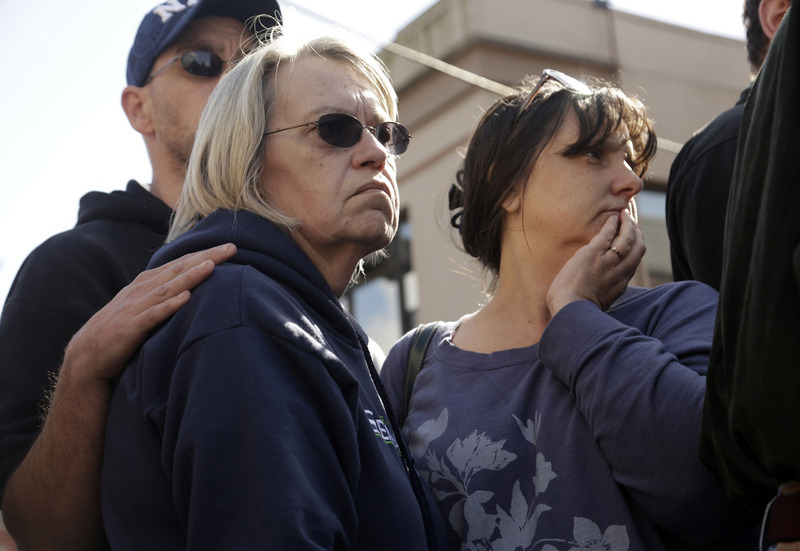 "The rescue effort's one thing, body recovery's another," he said. "There's plenty of people for that." 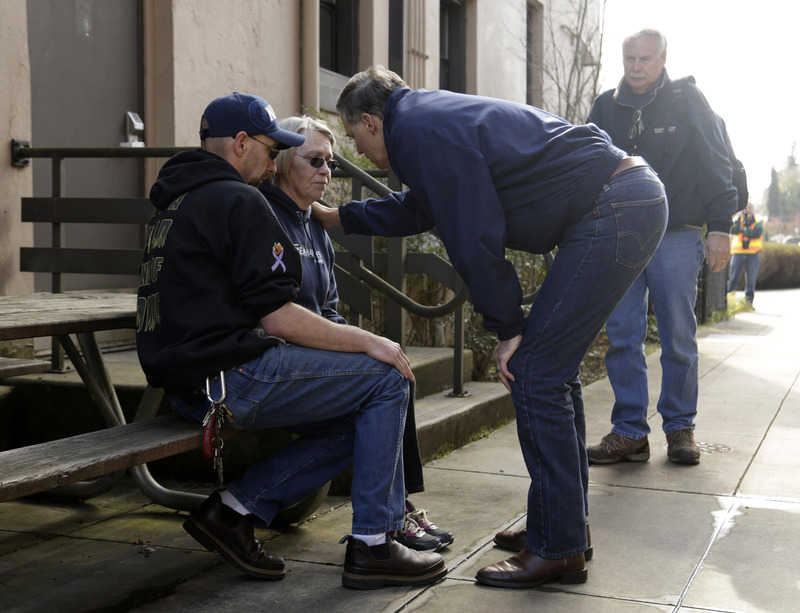 However, Hots said some 200 people continued to comb through the treacherous disaster site without respite. "I haven't lost hope yet. There's a lot of people up there who haven't lost hope yet." 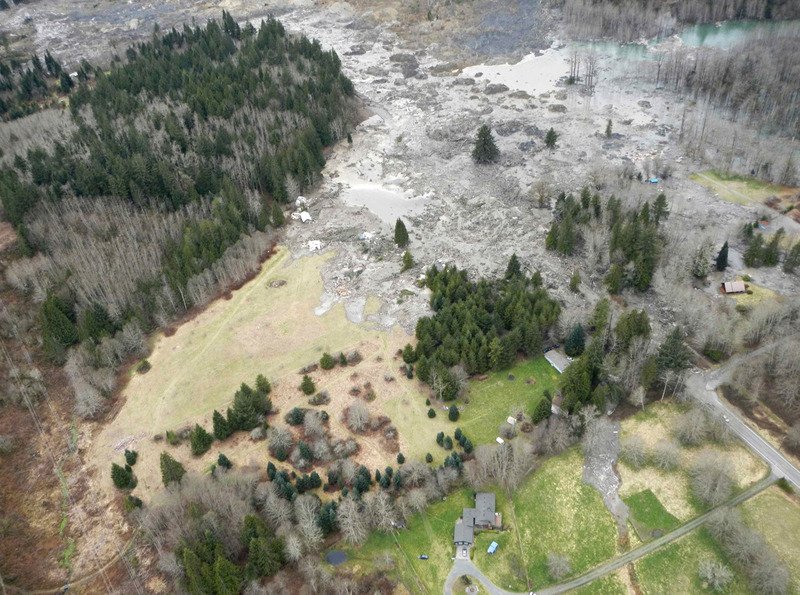 All of those discovered alive in the mud were rescued by helicopter within the first few hours after the landslide, and rescuers have not found further signs of life, officials said. 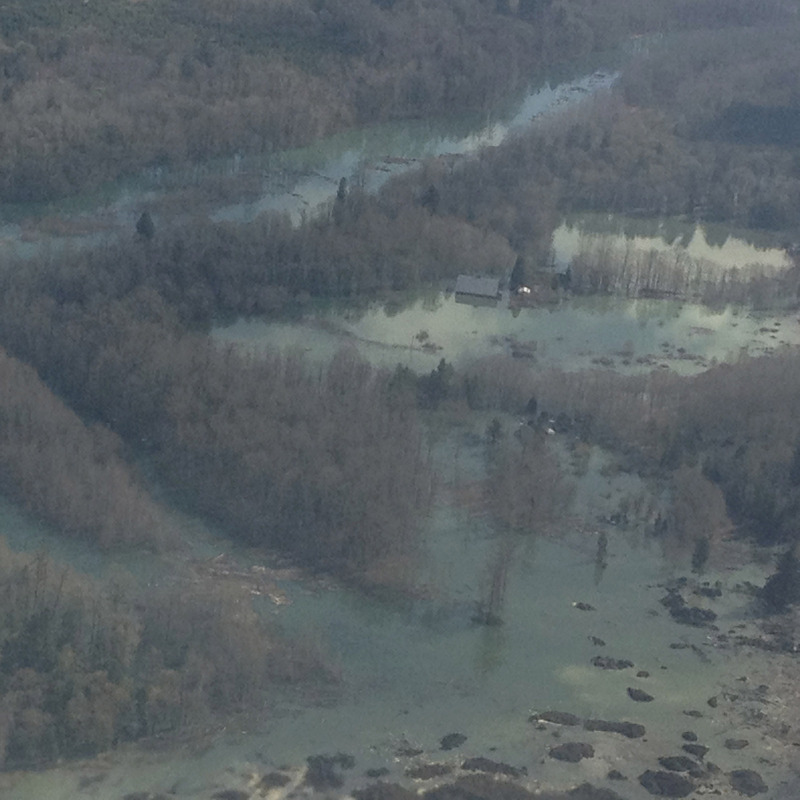 Authorities were investigating the cause of the mudslide and the Washington State Department of Natural Resources said it would review recent forestry activities in the area to determine if they might have been a factor. No earthquake had occurred in the region, according to the US Geological Survey. 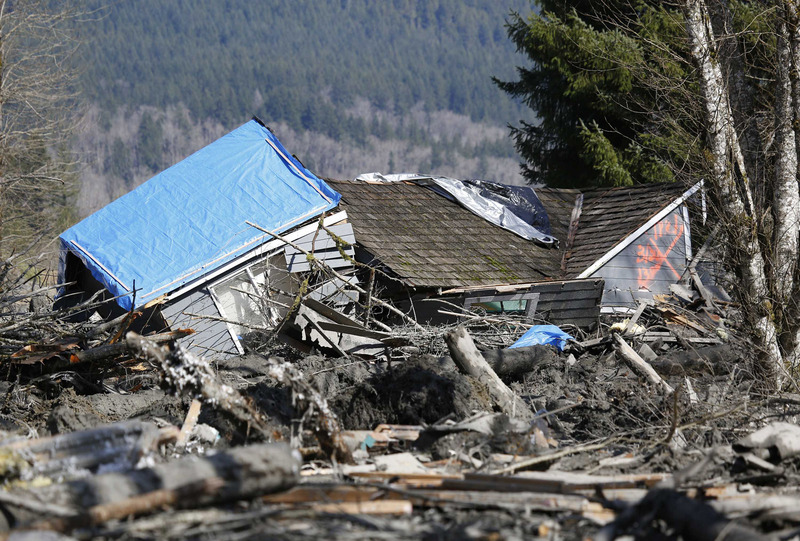 Many residents voiced anger that local officials refused to allow volunteers to join the search for survivors immediately after the slide, when chances for finding any were greatest. While some used their intimate knowledge of the area to sneak into the disaster zone to help, others said they returned home feeling frustrated and helpless. Officials warned that conditions were too dangerous to allow non-professional volunteers into the disaster zone even though they finally agreed on Tuesday to start allowing volunteers to join the official rescue teams. 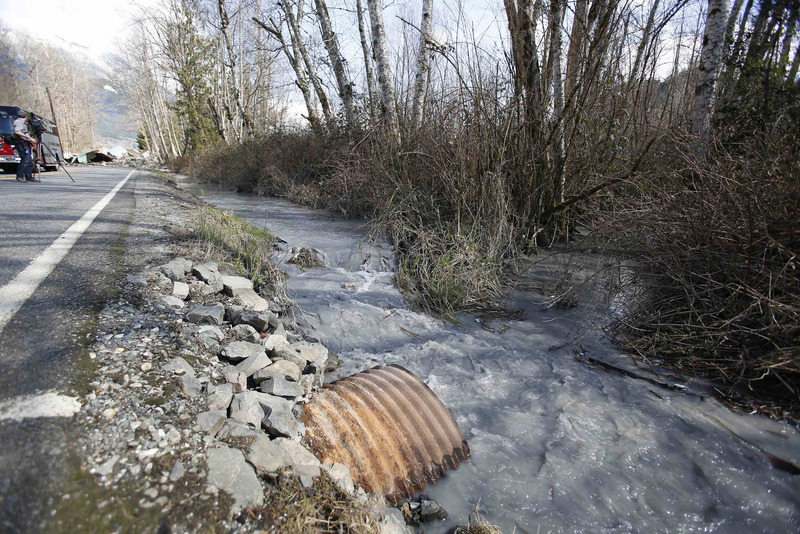 Local politicians told the Seattle Times newspaper that county authorities had wasted time by failing to quickly recognise the scope of the disaster and could have sought more experienced help rather than conducting efforts alone. 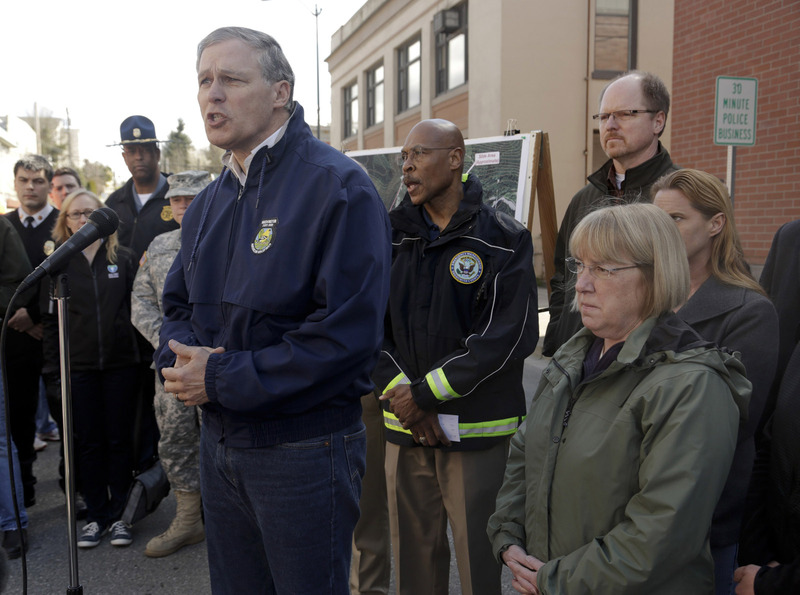 The state National Guard's commanding officer offered to deploy a 50-member search team on Saturday, an offer local emergency management officials did not accept until Monday, a Washington Military Department spokeswoman said. 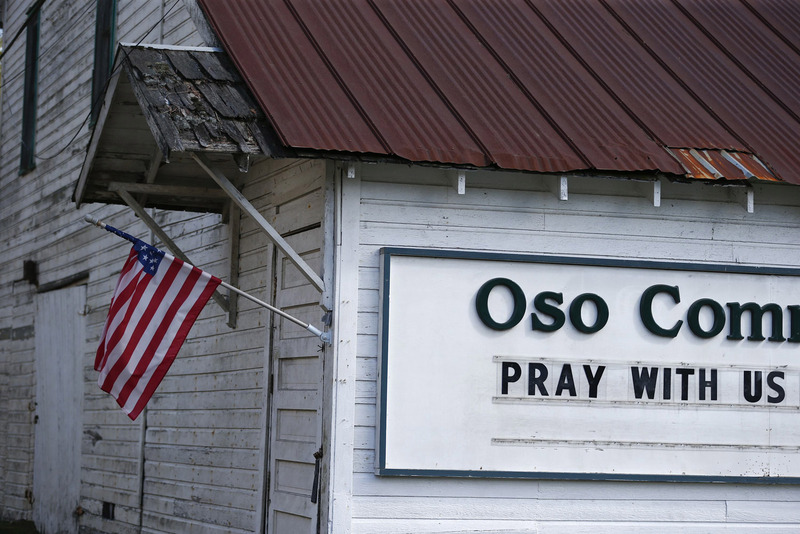 While county officials did not initially grasp the magnitude of the devastation, there was no room for more personnel because of quicksand-like conditions and fears of further slides, military department spokeswoman Karina Shagren said. "There wasn't a resources issue, there was a safety issue." 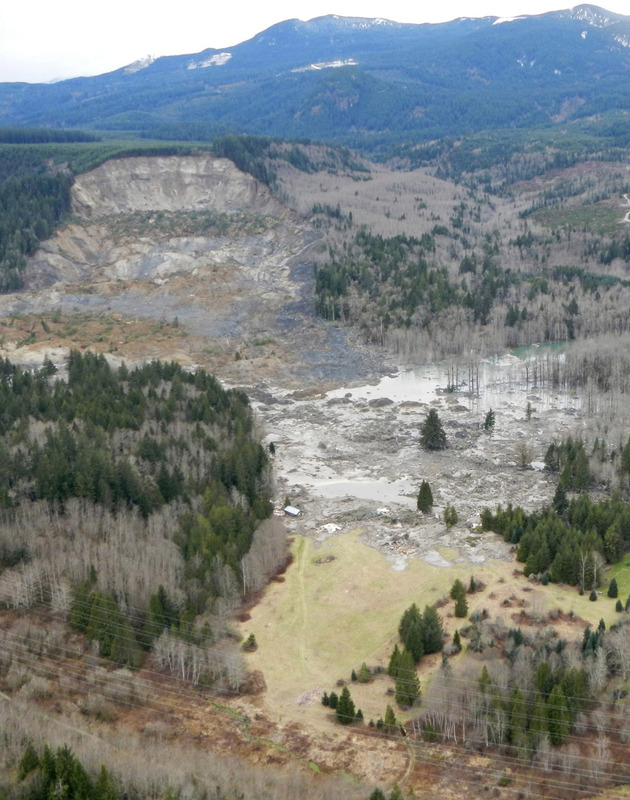 Up to 18 people were unaccounted for more than 24 hours after a massive landslide slammed into a mountainside community. 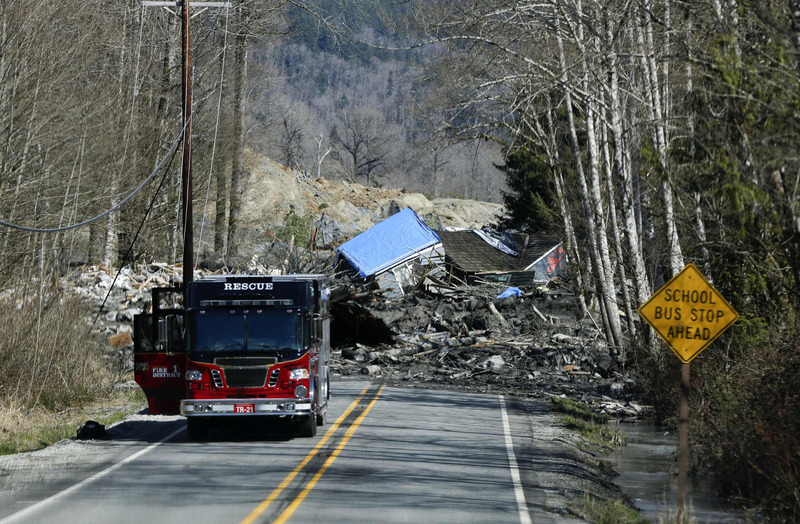 A landslide and structural debris blocks Highway 530 near Oso, Washington March 23, 2014. 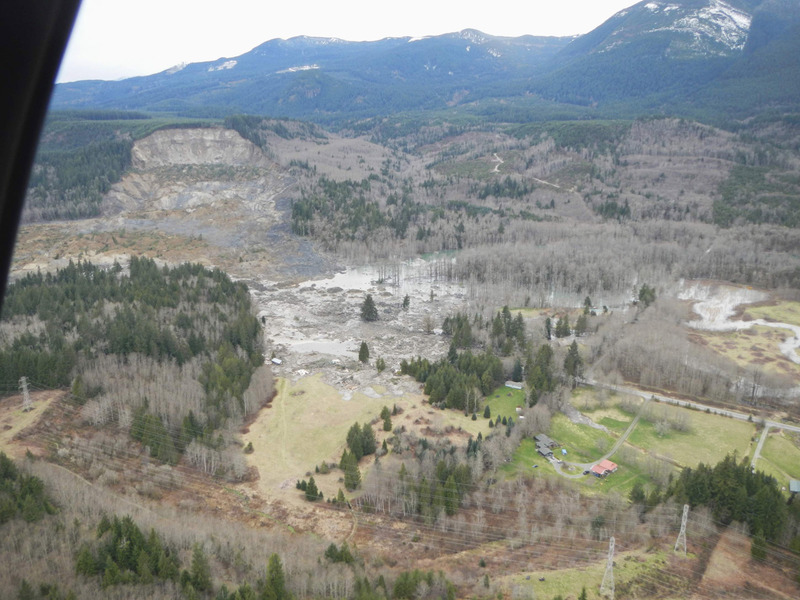 At least eight people were killed and 18 were missing in the massive landslide. 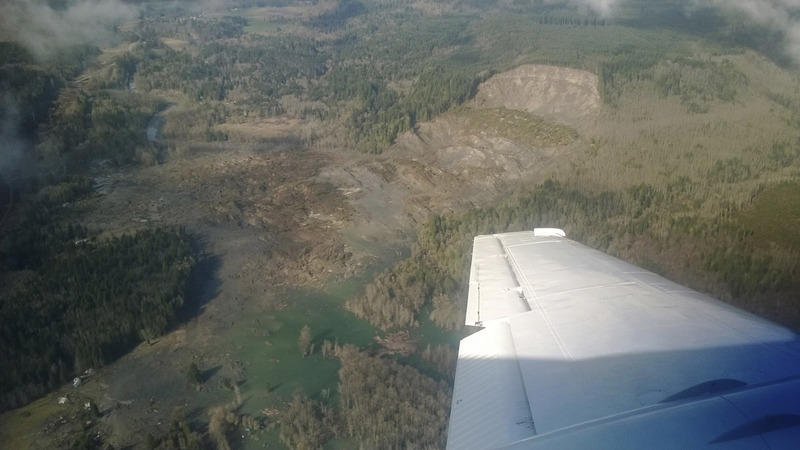 The wall of mud, rocks and trees smashed into the rural town of Oso, northeast of Seattle, on Saturday. Rescuers reported hearing voices calling for help on Saturday, but Hots told reporters that they "didn't see or hear any signs of life" on Sunday. 6 homes and much of a two-lane highway reaching the area were destroyed, while as many as 16 other homes were damaged. 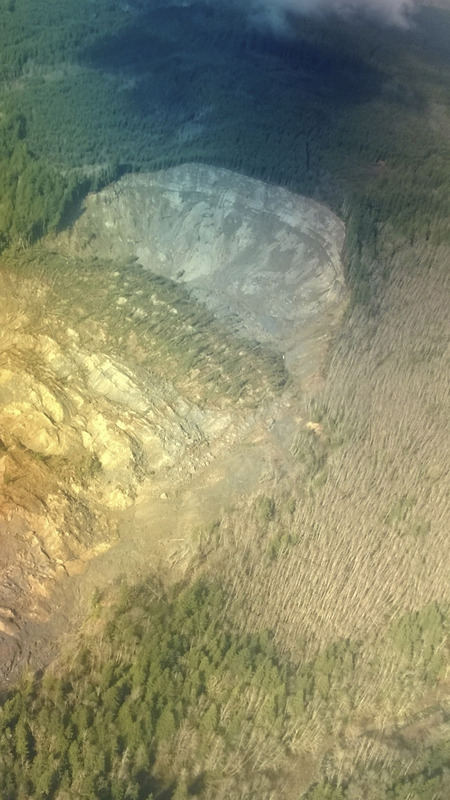 People injured in the landslide include a six-month old infant and an 81 year-old man. 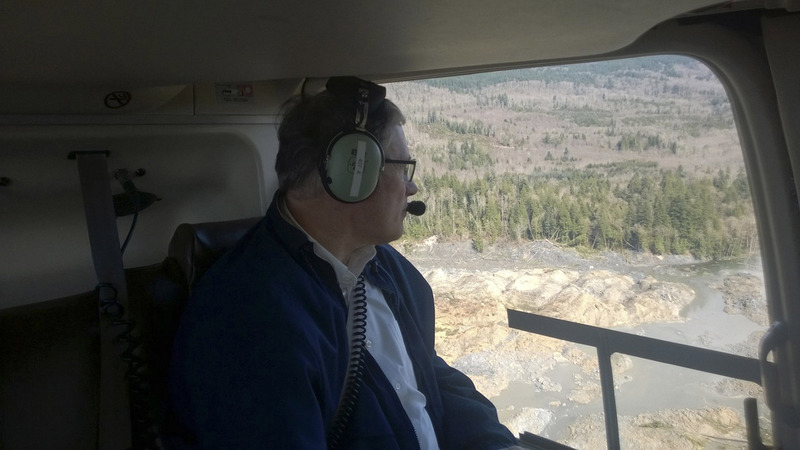 "It sounded like a freight train," landslide witness Dan Young told Komo4News. "In just 35 to 45 seconds it was over." 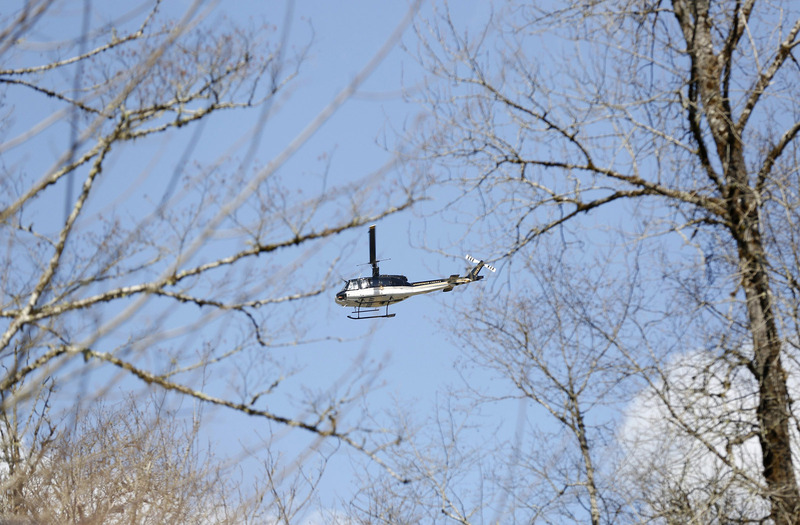 A Snohomish County Sheriffs helicopter flies near a landslide that blocks Highway 530 near Oso, Washington March 23, 2014. 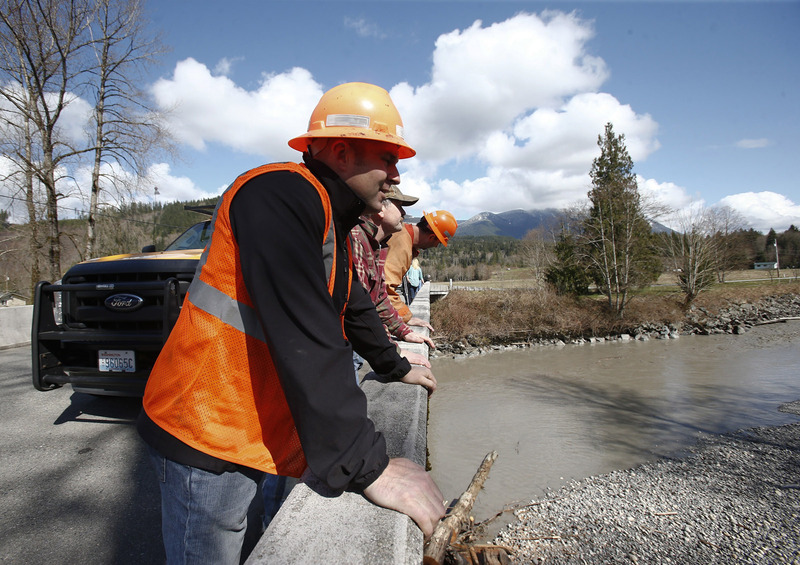 Workers observe the Stillaguamish River near the area where a landslide blocks Highway 530 near Oso, Washington March 23, 2014. 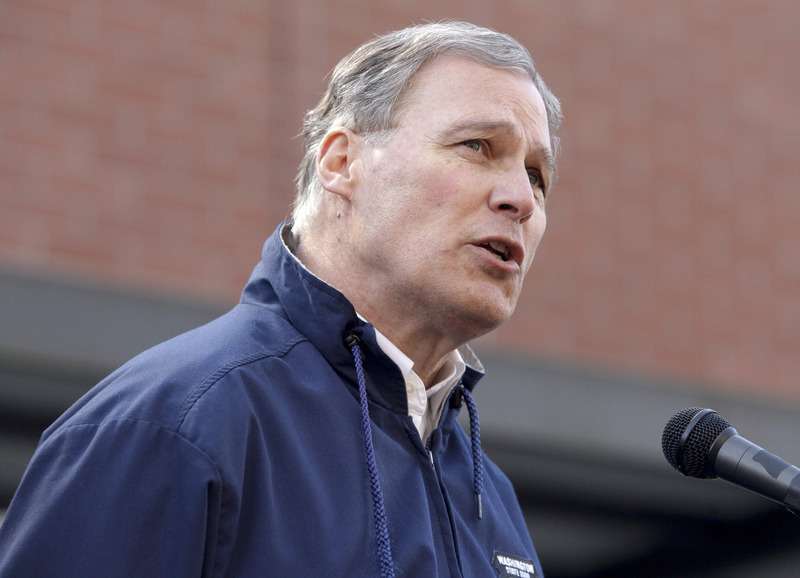 Washington Governor Jay Inslee (R) talks with concerned citizens in Arlington, Washington.